A Winrock project empowers the power companies. Winrock International has a long history of work in Nepal’s micro-hydro industry, and that legacy was much in evidence in a series of learning and sharing workshops put on by Sharing Learning Across Projects: Operating Micro Hydro (MHPs) as Commercially Viable Enterprises, a clean energy project in Nepal. The project is financially supported by WISIONS and jointly implemented with Nepal’s Alternative Energy Promotion Centre’s Renewable Energy for Rural Livelihood Program (AEPC/RERL). The objective of the training workshops was to build the capacity of micro-hydro plants to operate as commercially viable enterprises. They did this by focusing on knowledge exchange, managerial and business model training, business plan development, and computer-based account management systems. A representative of the Bodigad Khola micro-hydro plant prepares an analysis of his plant. The workshops provided everything from instruction on accounting practices (single- vs. double-entry) to maintenance checklists (bolt turbine connections once a year) to meter-reading basics (set aside days each month and inform customers in advance). Participants at a recent workshop began by sharing what they’d learned and implemented from earlier trainings. Managers said they had extended service hours, increased salaries to motivate employees, and started charging late fees or disconnecting customers who had not paid their bills, among other changes. 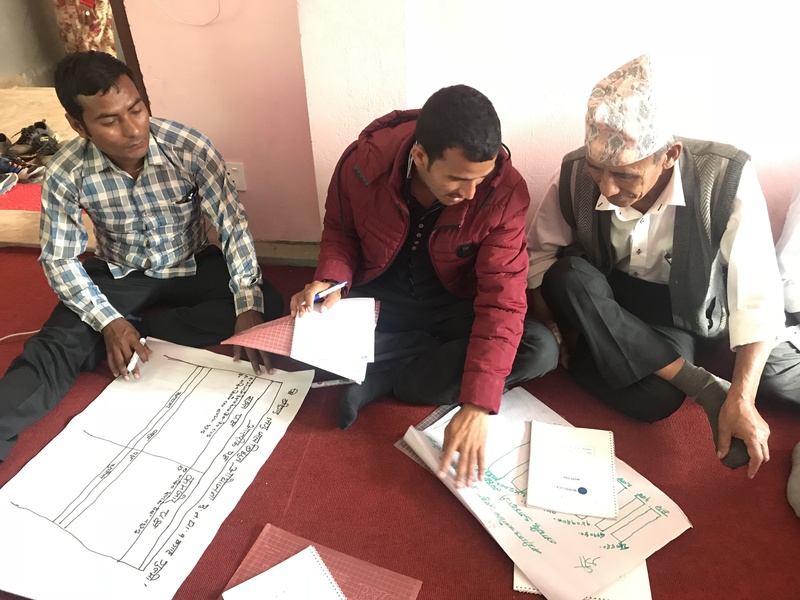 The workshops addressed the fact that many micro-hydro plants in Nepal can’t collect enough revenue to cover minor operation and maintenance costs, and so are forced to close for indefinite periods of time when there is a breakdown. The workshops aimed to help plants stay solvent and operational, which means their clients — schools, hotels, government offices and homes — stay electrified. Participants in a workshop on writing a business plan. “Proper planning and efficient management of micro-hydro plants are often decisive factors in the promotion of productive and sustainable energy use,” says Resha Piya, a senior program officer for Winrock’s Clean Energy and Water group, who helped organize and lead the workshops. The most recent workshop on business models featured Krishna Prasad Nepal, general manager of Salleri Chialsa Electricity Company (SCECO), discussing the private company model. Rup Bahadur Deuba, a member of Winrock’s field staff, explained the cooperative model. And Winrock’s Piya presented the lease-out model. 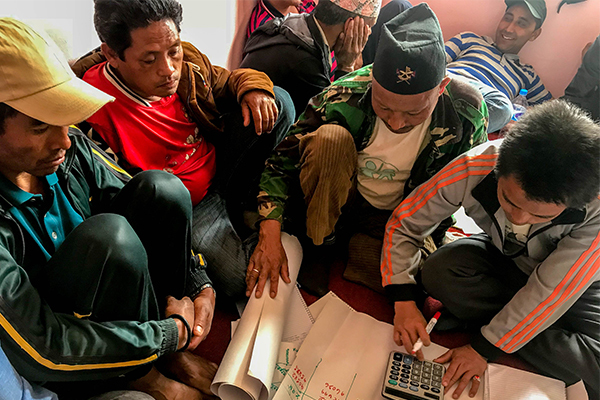 Workshops provided plenty of hands-on time, so that representatives from each micro-hydro plant could develop their own action plans, including the activities they’d like to complete, the proposed date of completion and those responsible for seeing the activities through. Representatives of Chachalghat micro-hydro plant project revenue. The events closed with questions and answers and the testimonies of those who said that the capacity-building program has been very helpful to micro-hydro plants and their municipalities.